A home with adequate humidity levels not only makes for a healthier, more comfortable home, but it can optimize your energy savings as well! 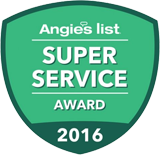 When you’re looking for superior air quality solutions, you can trust the certified and licensed professionals at Service Plus Heating, Cooling & Plumbing to bring you the highest quality humidifier installation for your in-home needs. Simple and clear pricing—no hidden fees, and no confusing payment figures! An air humidifier in your Indianapolis home can bring you a lot of comfort, improve your HVAC system’s efficiency, and can even improve your respiratory health. And to bring you the best, Service Plus provides superior air quality products that ensure you get all of these benefits and more! When working with our team, we can assist you in pairing your needs with the best humidity control solution possible, maximizing your comfort and ensuring the humidifier is installed perfectly for optimal performance. Reducing home allergies. A dry home tends to amass considerably more dust, pollen, mold spore, and other common allergens. With optimal humidity being maintained by your humidifier solution, you’ll not only enjoy a cleaner home, but a less allergy-prone one as well. Improving personal health. The optimal humidity level for humans rests around 30-50%, and the closer to the middle you stay, the better. In this range, your skin stays healthier—as does your respiratory system—reducing the risks of health complications like colds. But maintaining this number can be quite challenging, as in the summer your air conditioning system saps your home of moisture, and in the winter the air outside simply lacks much moisture. Optimizing HVAC system efficiency. Moisture-balanced air carries thermal energy much better, meaning when you use a home humidifier in Indianapolis, it is much easier for your furnace or heat pump to do its job efficiently. Minimizing the risk of static shock. This common nuisance is much more common in homes or areas that are excessively dry. A home humidifier can rid your home of obnoxious and uncomfortable static shocks! Ready to get service and quality you can depend on? Contact the experts at Service Plus at 317-434-2627 today to learn more about getting a humidifier installation for your home, or set your appointment online!